The City of Newburgh has issued a state of emergency after a dangerous chemical was found in the water. 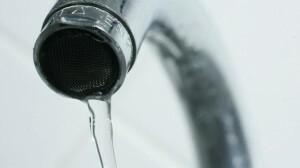 Officials found perfluorooctane sulfonate, or PFOS, in Silver Stream and Washington Lake, according to a Newburgh city news release and CBS. According to an article published by CBS news, the detected levels are lower than those considered dangerous by the U.S. Environmental Protection Agency, but the state Department of Environmental Conservation (DEC) and Department of Health have recommended that Newburgh take action. While Newburgh Water Department reduces or eliminates the compound and the DEC searches for the source, water in Newburgh will be drawn from Brown’s Pond and the Catskills Aqueduct. The city also issued a series of water conservation measures. Wash a full load of laundry instead of small loads…but don’t overload the machine! Under the conservation measures, water will only be given out on request at restaurants. It will also be restricted for outdoor washing and non-agricultural watering, fountains, swimming pools, ice rinks, exterior cleaning and other non-essential uses, as stated by cbslocal.com.